Hubby is rubbing Annika's back, facing him, and she can tell if I start rubbing her back. She then proceeds with the "Op!" followed by a grunt and a straight up mad-dog look. But, she loves me. I know she does. Lucas was the same way and now look at him. Totally loves me even though he might prefer Daddy just a little more. But, I still have Miah. Right? Oh, dear God. I promise I'm the cooler parent. Really! Anyway, why is this all so important? Well, when you want to take some product photos with the two-year-old who can't really stand you, it doesn't work out that great. 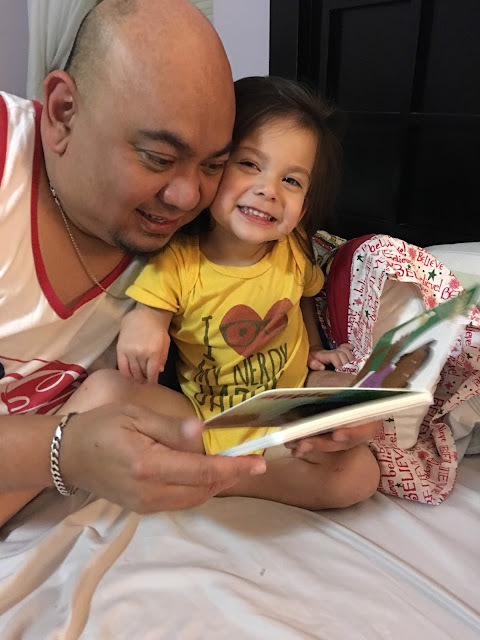 I tried everything with Annika to take a photo "reading" her new books. After writing this post, I received THE BEST email for a parent of a Deaf/Hard of Hearing child. 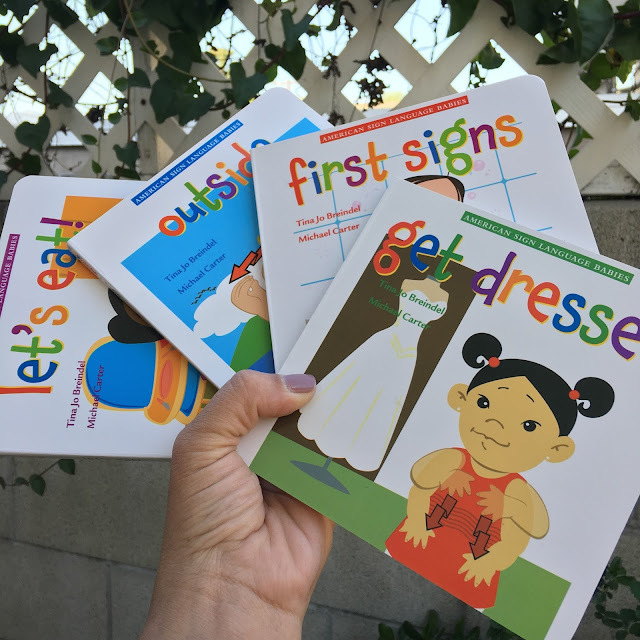 DawnSignPress sent us books and a story time movie in American Sign Language. In ASL, loveys!! Do you know how extremely difficult it is to find books with the characters signing? It is extremely difficult. So when a publishing company wants to send you books so that your two-year-old who happens to be deaf can "read"? Ohmygoodness, you say YES! So as a thank you, I wanted to take photos of her with the book, etc. I had it all perfectly pictured in my head. She'd be wearing her ASL Be Kind t-shirt, sitting on a nice fuzzy blanket in the backyard with the just-bloomed roses in the background. Books were thrown, blanket crumpled, and Annika storming off to play with those dang barking toy dogs someone gave her to torture me. Later that night, my husband sits in bed with Annika and this happens. See, what I mean? Love-hate. Now the books? Oh, they behaved amazingly. I had to hold them down a little, but they were cool. Thank you so much to Susan Gold Consulting for reaching out and sending such an awesome package of books and video from DawnSignPress. Such a blessing! That’s so rad they offer those! I totally get you on the love/hate relationship. I felt like that with Maggie at times when she was younger.